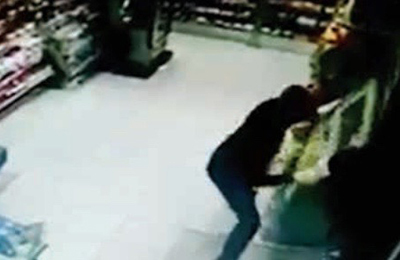 Two masked men have stolen a bill-payment machine from a market in Hamad Town, Bahrain. The Sadad machine was one of several located around the country where people can pay money to companies and government bodies to settle electricity, water, phone and other bills, said a report in the Gulf Daily News (GDN), our sister publication. Two masked men, who entered the 24-hour market, managed to rock loose the machine, which was bolted to the floor, before loading it onto a stolen van waiting outside on Saturday. Sadad marketing executive Huzaifa Siddiqui did not reveal how much money was in the machine, but said the company was co-operating with police. “Sadad is co-operating fully with local authorities regarding the ongoing investigation of a theft of one of our kiosks from a Hamad Town 24-hour market on Saturday morning,” he said. “The stolen kiosk, as per company policy, was under constant CCTV surveillance and bolted to the ground. Sources told the GDN the thieves targeted only the machine and did not attempt to rob the shop. “It is a shame to see some individuals harming their own community through criminal means,” added Siddiqui.